Ringing in the new year will be bittersweet for families affected by the powerful and deadly opioid epidemic in America. The federal government announced they are reducing the amount of opioids to be manufactured in the new year – however, an exemption allows companies in the manufacturing business to appeal the cap on their money-making pills. The announcement comes as the latest effort by the federal government to address the terrible epidemic facing the nation. According to the Center for Disease Control (CDC), 78 Americans die every day from an opioid overdose. The situation is so dire, President Obama recently dedicated an entire week to educate the masses on the destructive, deadly, and addictive drugs. Now, the Drug Enforcement Agency (DEA) has finally decided to reduce the amount of opioid controlled substances to be manufactured in 2017 by at least 25 percent. Some opiates will be reduced more than others. The prescription painkiller Hydrocodone, for example, will be produced at 66 percent of last year’s level. The 2015 National Survey on Drug Use and Health (NSDUH) released in September found 6.5 million Americans over the age of 12 used controlled prescription medicines non-medically during the past month. Earlier this year, the CDC issued guidelines to practitioners recommending a reduction in prescribing opioid medications for chronic pain. Every year, the DEA establishes quotas for more than 250 Schedule I and II controlled substances. 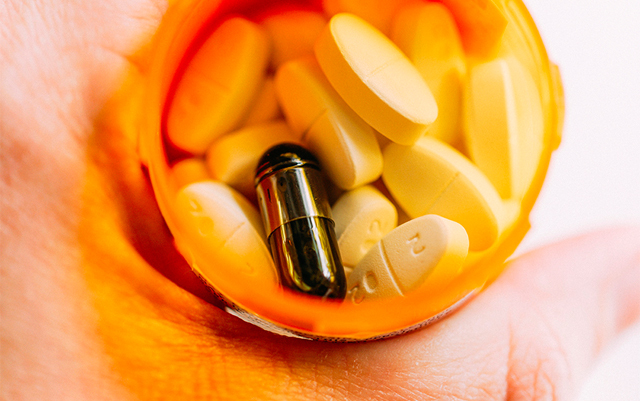 It goes in-step with the Obama administration’s attempts to curb opiate abuse. Despite cannabis’ state-legal status in more than half of the states in America, the DEA continues to defame cannabis in its literature. This announcement of the reduction in opiate production, for instance, is sure to mention that the “2015 National Survey on Drug Use and Health (NSDUH) found 6.5 million Americans over the age of 12 used controlled prescription medicines non-medically during the past month, second only to marijuana and more than past-month users of cocaine, heroin, and hallucinogens combined.” Unrelated, the perpetual use of the antiquated, negative term “marijuana” is an undermining jab that vilifies the medicinal plant so many Americans enjoy. It’s especially curious why the DEA won’t use the term ‘cannabis’ when it’s apparent from their statement that they are somewhat aware of the pro-pot movement. They spell it ‘marijuana’ in the announcement, yet it’s still spelled ‘marihuana’ in the official government document submitted for the registry. It’s a double-edged sword in the fight to end the opiate epidemic. While the U.S. government seems to hear American’s cries for help, loopholes remain for big PhARMA companies and drug manufacturers to appeal the cap on their best-selling drugs.